Lower Dolpo Trek. Dolpo is Located North West of Nepal on the isolated corner of Trans Himalayan Zone Dolpo is virgin and divine land. Flight from Kathmandu to Nepalgunj and Juphal, and you walk down to Dunai district head quitter of Dolpo. From Dunai you flow the thulo Bheri River through tarakot and Do-Trap. From Do-Trap you will cross over Numa-La and Baga -La to Shey- Phoksundo Lake. Phoksundo is deepest Lake in entire Himalayan Region Dolpo is famous for snow leopards, Himalayan tahr (mountain goat) and blue sheep. A great Naturalist Rodney Jackson conducted his research on snow leopards in Shey Phoksundo area. Mother Nature created a unique and wonderful treasurer like Dolpo, which is being the shelter of many rare alpine living beings. 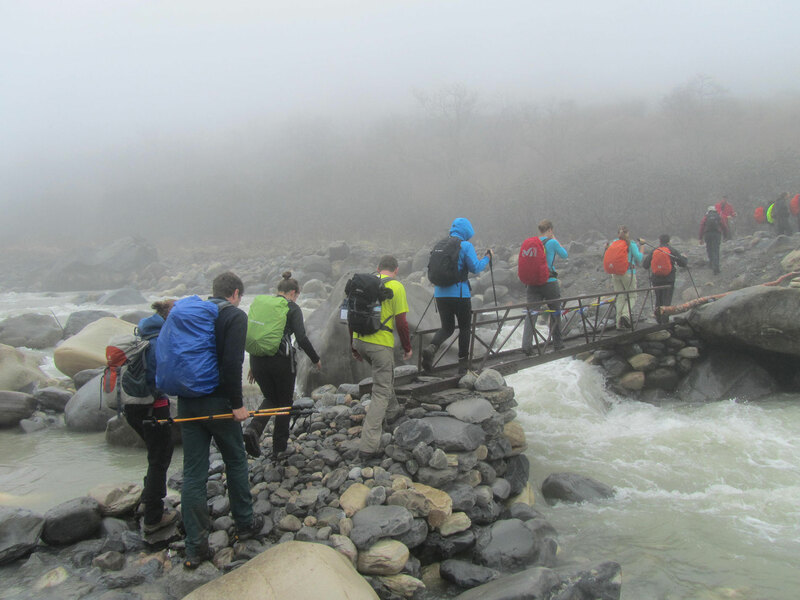 In spite of tough trails and rugged topography journey to Dolpo area is a lifetime experience. Tourists rarely visit Dolpo Region and the trekking route is very narrow and steep at places, so good hiking experience is essential for this trek. Culture: Different Community with the majority of Tibetan, Thakalis, and Brahmins. Mode of Trekking: Fully Organized Camping Trek. Himalayan Sights: Annapurna, Dhaulagiri Himalayan ranges Thorong Peak and Tibetan rugged mountains. Highlight: Dolpa is the most remote and least developed isolated corner of Nepal, The region offers opportunities to visit ancient villages, high passes, beautiful Lakes, isolated Buddhist monasteries and also experience the vast array of wildlife inhabiting the region, including Blue sheep, Mountain Goat, Jackal, Wolf, and the legendary Snow Leopard. It was a wonderful time! (Trekk Dolpo 3weeksApril2015). Thank you and your guide Dorjee for everything! I would highly recommend your company for all who want to do a trekking in Himalaya.